Here in Maryland, we’ve had our first snow of the year, but are still waiting for a real snow day! What’s better than snuggling up inside with your loved ones after a day of making snowman and throwing snowballs? This week, AMT is sharing the soundtrack for your next snow day. Have any songs to add to our snow day round-up? Let us know and we’ll add them to our list! This week, AMT’s intern Anissa is sharing her #simplysigned version of Jingle Bells! We recommend making your own DIY jingle bells, then listening to a recording or singing acapella as you sign together. Wishing you a happy holiday season filled with music and cheer! We’ll see you in 2017. Sensory play is a fun way to promote your child’s learning and help them to develop important skills like decision-making, fine and gross motor skills, verbal and nonverbal language and sensory awareness. AMT’s therapists love to incorporate sensory play during music therapy sessions as we work with our clients to create a musical landscape filled with many sounds, textures and sensory experiences. This month, Miss Kerry is sharing some easy DIY ways to explore December using all 5 senses with your loved ones. Our friends at Toneworks Music Therapy curated this playlist, which includes contemporary artists singing classic holiday songs. Perfect for all ages! Though this book touches on all 5 senses, we love that kiddos can choose bits of real things to glue on the pages. Use pine needles, ribbon, jingle bells, foam stickers and more to create your own holiday book. Watch what happens to simple holiday candy when plunked in a bin of water! Use red and green peppermints, candy canes or see what happens to other candy when wet. Make snack time fun with festive treats. Some are healthier than others, but they’re great conversation starters! It’s fun to make these 2-ingredient ornaments every year. Choose your favorite cookie cutters, bake and decorate for some festive-smelling treats that look great on a tree or work nicely in a sensory bin. Have any go-to sensory play ideas you’d like to add to our list? E-mail us at annapolismusictherapy@gmail.com and we’ll include your thoughts in this post! As Thanksgiving draws near, AMT is sharing 3 of our favorite festive songs to sing with your loved ones this November. We wish all of our families a very happy turkey day filled with good food, family and music! 1. Turkey in the Straw (Tennessee Mafia Jug Band). Have a hoedown in your living room as you dance along with this classic. Take turns spinning each other and clapping to the beat. 2. Pumpkin Pie (California Honeydrops). Grab some pots, pans and wooden spoons as you listen and you play along. Can you find any household items that sound like the washboard? 3. The Turkey Pokey. No Thanksgiving is complete without at least one round of the Turkey Pokey! Follow along with the video, or choose your own order as you practice identifying different body parts and following directions in this silly song. This week, learn to sign one of AMT’s favorite Halloween songs: 5 Little Pumpkins! We love this song because it’s a great way to support early academic skills like counting to 5 and following directions, and can help introduce seasonal concepts to prepare your child for trick-or-treating on Halloween. Sing and sign along with this singable book, a free printable visual or use 5 real pumpkins! Sensory play is a fun way to promote your child’s learning and help them to develop important skills like decision-making, fine and gross motor skills, verbal and nonverbal language and sensory awareness. AMT’s therapists love to incorporate sensory play during music therapy sessions as we work with our clients to create a musical soundscape filled with many sounds, textures and sensory experiences. This October, Miss Kerry is sharing some of her favorite ways to explore autumn using all 5 senses. All of these ideas are easy to DIY and adapt for use at home with items you already own. Click on the links in the colorful headings below! Listen to this festive playlist and shake your groove thing! Try jumping, twisting, clapping, stomping, snapping, skipping and running to the music to promote fine and gross motor development. Fill a container with shaving cream, beans, sand or tissue paper and hide some small Halloween toys inside. Encourage your child to touch a range of textures as you sift through the bin together and talk about what you find! Take a trip to a nearby farm, pumpkin patch or any of these other Halloween alternatives. What colors, shapes and sizes do you see? Work together to make and eat yummy Halloween snacks, like Jack-O-Lantern milkshakes or ghost pretzels. Fill a bucket with water and orange food coloring, then sprinkle with pumpkin pie spice. Dunk small pumpkins and apples into the bucket, whisk the water with kitchen utensils and talk about the different scents you might smell in October. My name is Anissa, and I’m AMT’s newest music therapy intern. I also make sign language song covers on Youtube (link to channel: https://www.youtube.com/user/atinitiny). This is the first in a new series to help kids and their parents learn some familiar songs in sign language! Learning sign language can promote and strengthen communication skills, language development and familial bonds as you sing and play together. This first video will teach you different ways to sign Twinkle Twinkle Little Star. Note: Pidgin Sign English (PSE) is an auxiliary language formed by using the signs and fingerspelling, but not the grammar, of American Sign Language (ASL) in the word order of English, often used in communication between deaf signers and speakers of English. This October, join AMT and non-profit partner The Musical Autist for a variety of family fun and informational events throughout Anne Arundel County! We love connecting with new families and friends, and hope to make music with you in the community this month. This is a great opportunity to gather resources and meet community service providers and families—don’t forget to stop by our booth and say hi! Disability Awareness Day is a FREE family event with opportunities to connect with self-advocates and community vendors. AMT’s therapists will be there to support your child as they play and explore instruments at our booth! We will be providing 30 minutes of live music performance during this event, from some of our music therapy clients and friends of our nonprofit, The Musical Autist. Spend an evening with The Musical Autist and enjoy the musical stylings of Jermaine Gardner, a classical, jazz and contemporary pianist. AMT’s therapists and TMA’s support staff will be available to support your family throughout the performance, in addition to a sensory quiet room, noise reduction headphones and an atmosphere of acceptance and respect! Hello Everyone! My name is Janice Prodoehl and I am a Music Therapy graduate student from Immaculata University. Aside from my graduate studies and internship, I also teach private voice and piano lessons. I am so excited to be on this new and exciting journey in the field of Music Therapy and am so grateful to CJ for agreeing to take me on as an intern! I know it is a big commitment on her part, so again…Thank You, CJ! Since I have started interning at Annapolis Music Therapy, my experience has already been so fulfilling; I am confident that this positive momentum will continue. Additionally, I cannot believe the incredible amount of knowledge I have gained through taking CJ’s online CMTE course. I am enjoying it thoroughly and highly recommend it if you are 1) A Neurodiversity Advocate, and 2) in need of fulfilling 10 CMTE credits. As a “newby” to the Neurodiversity Movement, I can honestly say that this course has already begun to transform my life! The articles are so informative and powerful and provide a great deal of insight and background into what Neurodiversity means and what the Neurodiversity Movement is all about. The readings have inspired me to want to take a more proactive role in taking part in contributing to this movement. So….relative to CJ’s most recent post about #mtadvocacy, I would say that I fall under the “Directors” Category. I enjoy piecing things together to get a beautiful result, trying to make each and every step worthwhile and effective to achieve Success! This is not to say that I certainly would not take myself out of either the Connector or Reflector roles, as I think that all three of these need to be present and commingle to achieve whatever it is we are trying to accomplish! I am thrilled to be a part of the AMT Team, as well as to be informed and included on aspects of The Musical Autist …. yet another incredible contribution CJ has provided for the community! The concept of Sensory Friendly Concerts is genius! I am eager, excited, and full of ideas to help with these causes as well as to help move Music Therapy in a forward direction, all while gaining music therapy experience in the field with CJ, her employees, and her clients! I look forward to getting to know the Annapolis Music Therapy Community over these next several months! 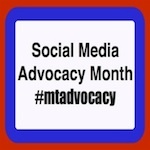 #mtadvocacy month once again, how did a year go by so fast? Hello friends and fans of Annapolis Music Therapy! First, sorry. I’m simply terrible at blogging and staying on top of social media. In fact, you might notice that my last blog post on this site (not including our recent job announcement) was for the annual #mtadvocacy. And lo and behold, it’s January once again. Good news is, you’ll be hearing much more from us in 2016 because I’ve got some guest bloggers lined up! The latest stage of professional growth for me has been starting a college internship program. Last year I was approached by two, very brilliant and non-typical college students, each with great passion and a sure knowledge that my practice would be the perfect fit for them to complete their 1000 hours of internship. I was sold! So 2016 I’ve jumped in headfirst by starting TWO interns, Jan-Aug 2016 (university affiliates through Slippery Rock and Immaculata Universities). Both Rachel and Janice will be working with me and my employees, seeing clients at our clinic and out in the community, as well as other projects connected with my private practice (Annapolis Music Therapy Services) and nonprofit (The Musical Autist). One of these projects will be monthly blog posts! (whew, what a relief, as you can see by all the tumbleweed around here). Before turning it over to Janice in the next post, first let’s take a look at the topic for #mtadvocacy this year, right here at the Music Therapy State Recognition site. It has to do with what type of advocate you are, or at least most closely identify with. A Connector, Reflector, or Director? Whether you’re an advocate for music therapy or disability rights (or both, like me) these descriptions are pretty helpful in assessing your strengths. I definitely see elements of myself in all three. 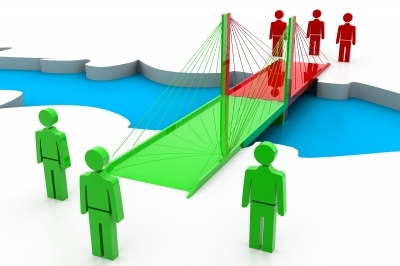 “Connectors” are people who are gifted at building bridges by bringing others together and recognizing complimentary skill sets in those that they know. Connectors enjoy creating opportunities for people from diverse background and experiences to meet and interact. The role of the Connector in advocacy is to maximize the human resources available to them and to increase the network for their cause by helping interested parties get to know one another and discuss common interests. 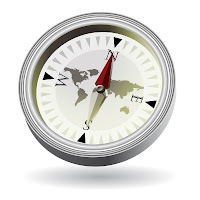 It is often the Connectors who are able to establish relationships with legislators or other decision makers that develops them into incredible advocates. 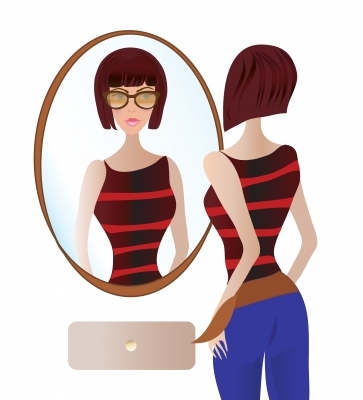 “Reflectors” are gifted at taking in information, experiences, and perceptions and—as the name implies—reflecting back the most salient points to those around them. Reflectors often have a knack for diffusing situations by indicating an understanding and empathy for someone else’s position. Reflectors also make great advocates because of their fierce loyalty to their cause. Their ability to see issues from multiple perspectives and then to communicate that to multiple audiences brings all sides of an issue to the foreground for discussion. Reflectors unite various individuals and guide the group to a vision that recognizes the complexity of all issues. “Directors” are the ones who are able to see the big picture of possibilities that exist beyond the current situation. They are able to assimilate the work of the “Reflectors” and the “Connectors” and navigate a course of next steps based on that information. Directors also gather additional relevant information as they move forward and constantly attend to what course corrections are necessary to get to their end goal. Those who are most successful in this role demonstrate flexibility in their thinking and actions, which allows them to accommodate to various situations that are presented and that often change without prior notice. Directors take a broad view of an issue, projecting out beyond it’s current status or challenge and using an ideal vision or end goal to guide the day-to-day steps necessary to get there.